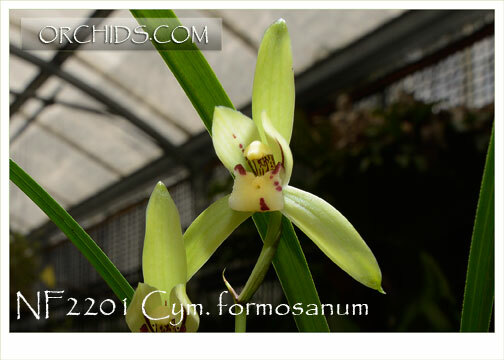 This species is one of the greatest delights in the Cymbidium family ! Also known as Cym. goeringii var. 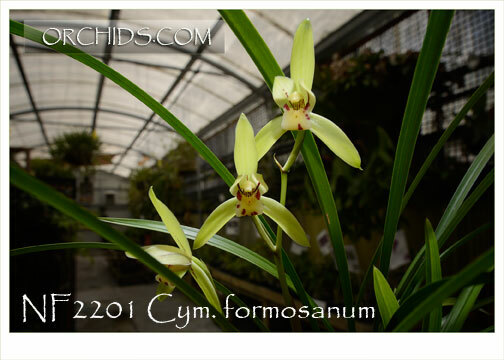 formosanum, this species, endemic only to the island of Taiwan, was first discovered by a Japanese botanist in 1911. Although similar to the Japanese and Korean forms of Cym. goeringii, it is totally unique to Taiwan. 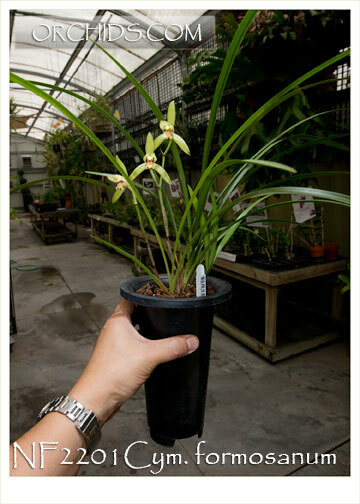 A hot to cool growing epiphyte with great temperature tolerance, it has thick grass-like foliage, producing 1-2 delicately fragrant and long-lasting green flowers per compact inflorescence. In China, this species is often referred to as the “Spring Orchid”, meaning it will flower at the onset of spring. Because its foliage is highly treasured for its ornamental presentation when not in flower. Very Highly Recommended !